Antique double washbasin made by the Porcher company around 1910. With two console feet. Antique double washbasin on two corner legs. 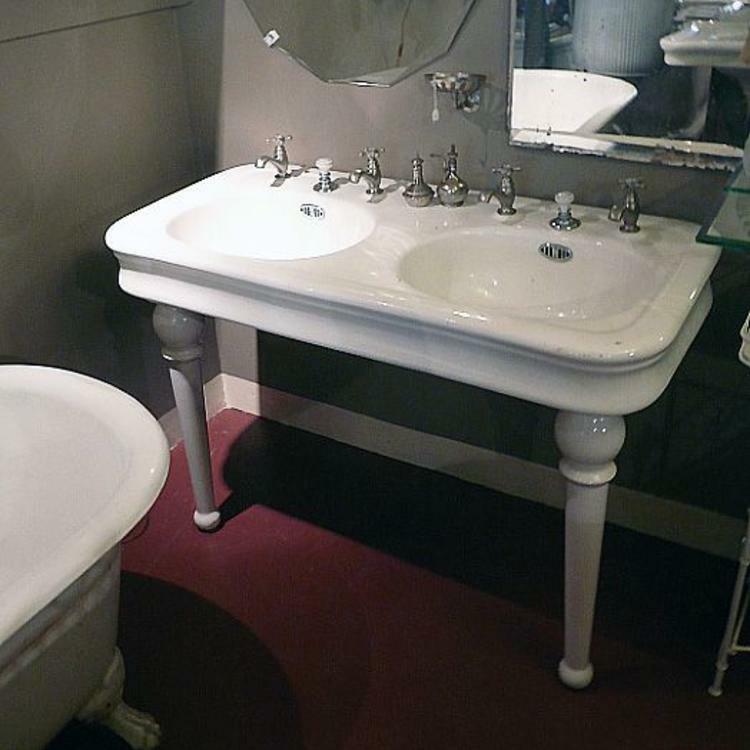 This antique Porcher washbasin dates from around 1910. The model can be found in the Porcher catalogue under the name 'Duplex'. Normally we find these washbasins without the legs or with damaged legs. 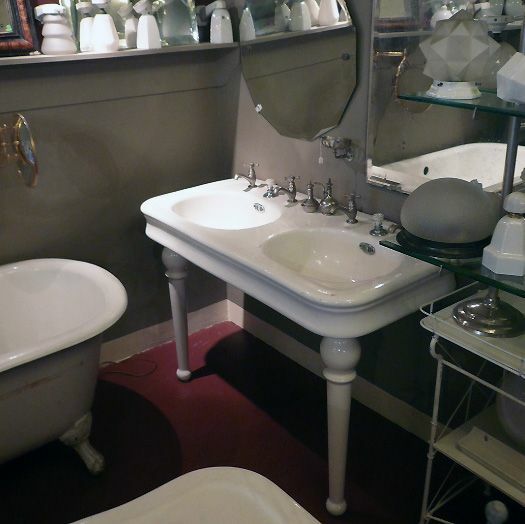 To find a washbasin in this condition is extremely rare. 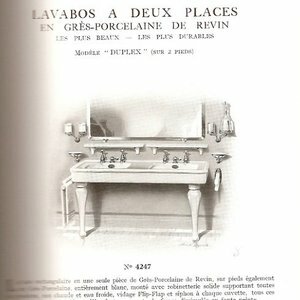 The basins still have the original grips of the pull-up system. The pull-up itself has gone but these grips with the name of the manufacturer in black and red are so beautiful it would be a pity to remove them. 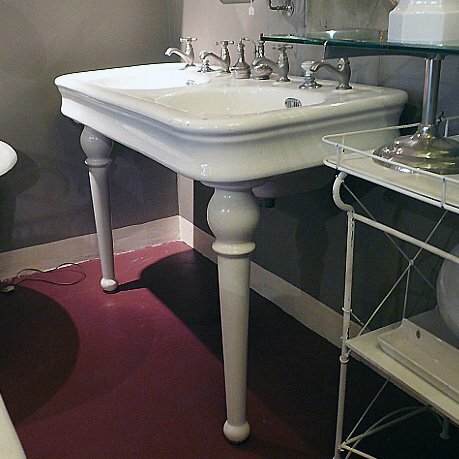 This double washbasin is relatively small so it also fits in a smaller bathroom. The indicated price is excluding the taps. 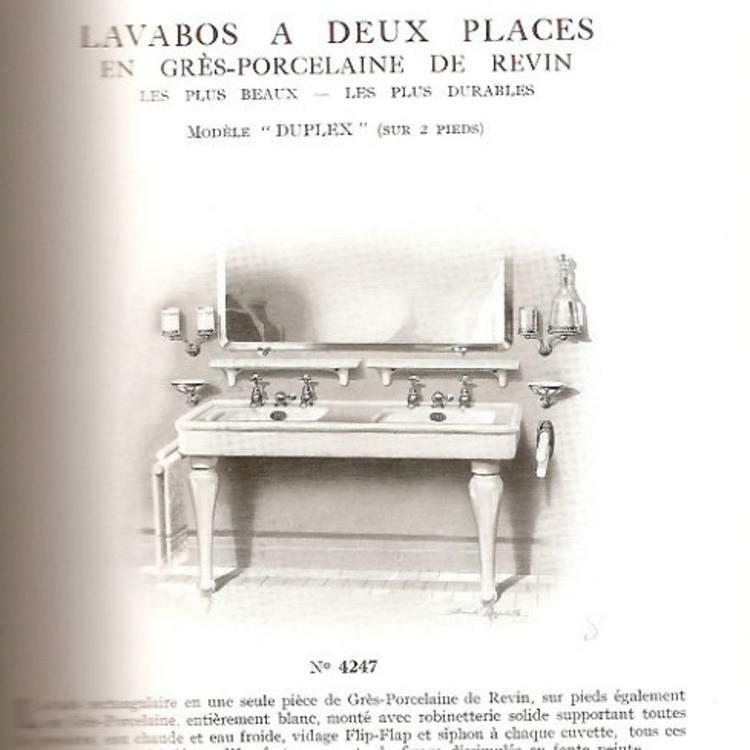 On the picture you see the basin with two sets of polished nickel taps with rosettes. To create the effect of a mixer tap you can install a small thermostat so the water from the warm water tap always has the right temperature.